Mayo Media is proud to work with the Tutoring Club of St. Johns. If your student is in need of tutoring or just looking to improve their study skills you should give them a call! Tutoring Club St. Johns is for students of all academic levels, kindergarten through 12th grade. 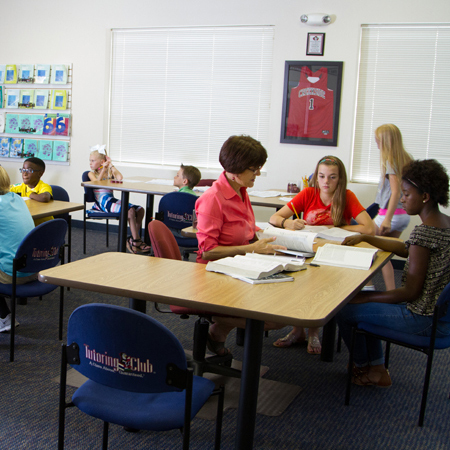 Tutoring Club offers individualized instruction with St. Johns Tutors in our exclusive TutorAid programs for math, reading, writing, SAT and ACT preparation, study skills, and more. Ask about our Tutoring Club guarantee! Tutoring Club St. Johns is for students of all academic levels, kindergarten through 12th grade. Tutoring Club offers individualized instruction with St. Johns Tutors in our exclusive TutorAid programs for math, reading, writing, SAT and ACT preparation, study skills, and more. Ask about our Tutoring Club guarantee!